Because of Unmitigated price gouging, printer ink is very expensive. An ink cartridge for a low end HP printer, containing only one tiny ounce of ink, costs a mind boggling $30.00! However, most printers provide a mode that uses less ink to use when you don't need a high quality print. 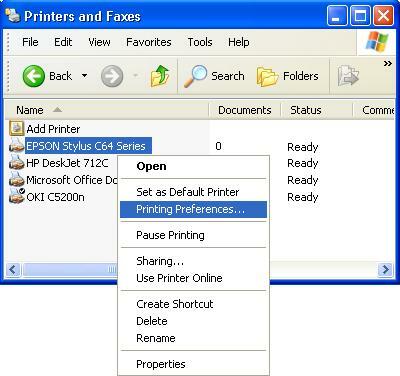 To select the ink saving mode, in Control Panel (Hardware group), open the Printers and Faxes utility. 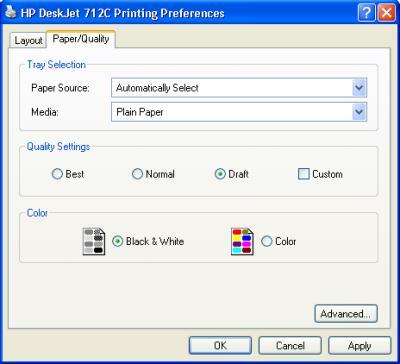 In the Printing Preferences dialog box that appears, select the Quality tab. Set the print quality to Draft. Every printer is different, but most printers provide an option to reduce the quality of the print to save ink. After selecting the desired options, click on the [Apply] button, and then the [OK] button.